Jupe, Pete, and Bob's next case sends them to Skeleton Island, an eerie spot inhabited only by pirates' bones and a young girl's ghost. A movie company has chosen the island as the perfect place to make a scary film, but mysterious events are disrupting the crew. 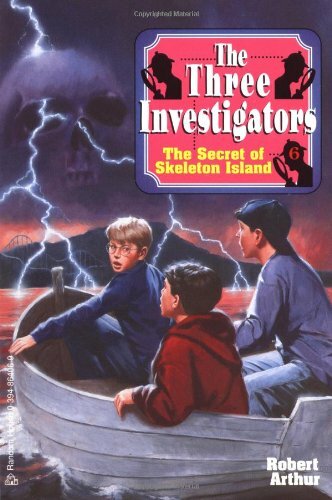 They call in the Three Investigators. But just as the boys arrive on the island, so does the ghost!